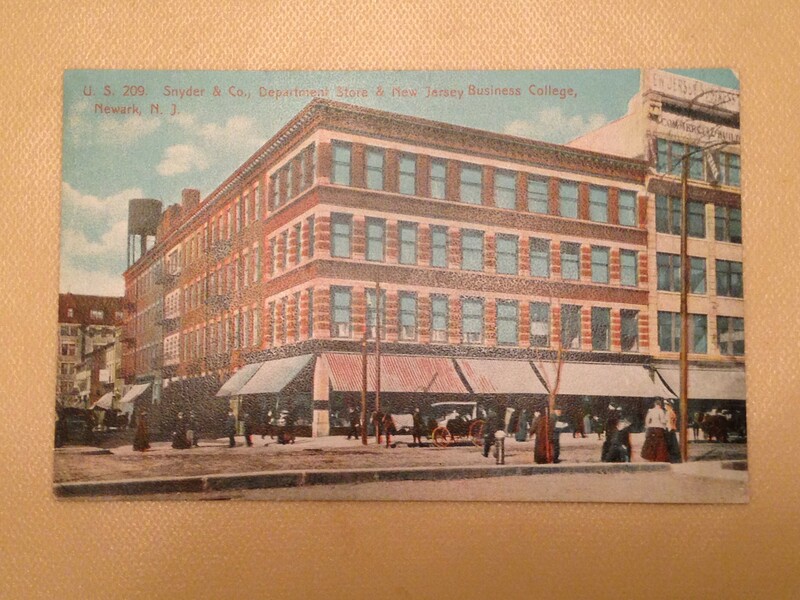 The Snyder Department Store had a prime spot in Newark’s mercantile center. So much so, that the building was later given a new façade and became McCrory’s 5&10. The block the building occupies was purchased by The Prudential as part of the two block redevelopment site where their new 440 million dollar tower stands. Only two original buildings where allowed to remain on that site- a two story commercial terra cotta structure on the corner of Halsey and Cedar Streets and the Snyder/McCrory building on the corner of Broad and Cedar. Until Prudential decides to build the final tower on the site, the Snyder building will continue to be a commercial hub as it has been since the mid 19th century. e to serve a commercial function into well into the 21st century.